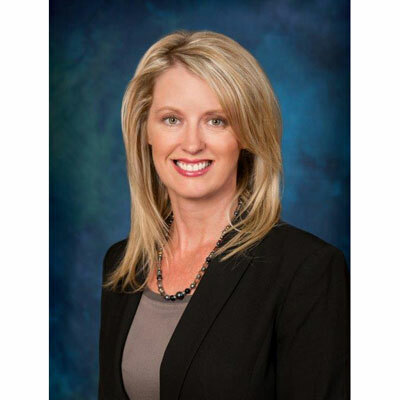 With 22 years of channel experience, Jessica Yeck serves as vice president, Strategic Sales, Americas, at Tech Data. In this role, she leads a highly effective inside sales organization driving a multi-billion dollar sales goal. Her responsibilities include strategic and financial analysis, development and implementation for the people and processes leveraging Tech Data's competitive value proposition to achieve specific, focused solutions, products, services and sales objectives. Yeck also develops and nurtures key executive customer relationships in the development and execution of established sales programs, helping customers grow and succeed in the marketplace. She joined Tech Data in February 2017 upon the completion of its acquisition of Avnet's Technology Solutions division. This last year has been a year of transformation with Tech Data acquiring Avnet's former Technology Solutions business. I've personally spent a good amount of time advocating the new combined strength and value of new Tech Data to customers, vendors and employees at our annual Partner Summit, in our "Town Hall" meetings, channel events, employee roundtables and face-to-face customer and vendor meetings. It's been an exciting year, and it's just the tip of the iceberg. Tech Data is in the best position to help our customers and vendors win in the marketplace. I have three primary goals for my inside sales organization for this next year. 1. Leverage the combined, end-to-end technology, services and specialty business units to help our customers and vendors be more competitive. 2. Provide an exceptional customer experience by enhancing and streamlining internal processes and tools. 3. Lead a world-class inside sales organization that our customers and vendors find invaluable to their business by investing in our top talent and recruiting top new talent. In this past year, I have been given additional leadership responsibility and the honor of leading our Enterprise inside sales organization. This additional responsibility reflects Tech Data's confidence in my ability and value to the company. On a personal level, I have had the honor of leading my daughter's Girl Scouts troop over the last two years. It's empowering to work with such a bright group of girls. I have the ability to share the importance of personal choices, giving back and supporting each other, regardless of differences. I admire Michelle Obama for her strength and ability to remain graceful under pressure. She's a well-rounded, educated women who was unwavering about her desire to reduce poverty, promote physical activity with the "Let's Move" initiative and promote healthy living. In addition to being a role model for young girls, she's also role model to women, demonstrating in front of the world the challenges with balancing a career and family. Professionally, I would advise myself to be more confident and know that the hard work is going to pay off. Personally, I would have spent more time with my grandparents, questioning them about history, family heritage and advice that they would have given to me as I became an adult. If I could master any new job-related skill, it would be coding, directly related to cyber-security. I would love to have the skill to be able to hack into any database and prevent cyber-attacks, identify theft, and thwart any other potential cyber threats. "The Girl with Seven Names: A North Korean Defector's Story" by Hyeonseo Lee. It was a fascinating story of a girl who defected from North Korea and the lengths she had to go in order to find a safe life. It was a glimpse into North Korea, its regime and the culture in which this girl is raised. It was definitely eye-opening.